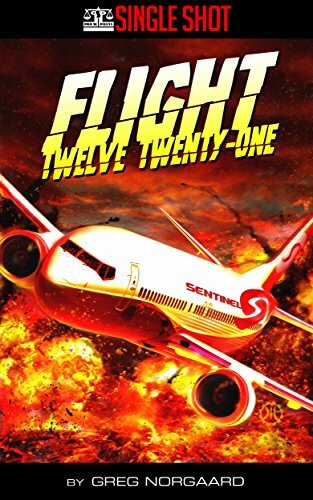 LATEST PRO SE SINGLE SHOT TAKES TO THE AIR OVER DESTRUCTION-FLIGHT TWELVE TWENTY-ONE DEBUTS! Pro Se Productions, a leading publisher of Genre Fiction, continues its mission to bring new and exciting digital singles to readers with the debut of its latest Pro Se Single Shot by author Greg Norgaard,-Flight Twelve Twenty-One, a suspenseful tale of worldwide disaster as witnessed from over 30,000 feet in the air. Without warning, giant explosions from the sea rock the planet, killing everyone nearby almost instantly. Hundreds of miles away, veteran pilot Captain Jesse Jacobs senses something is wrong as radio communications start to go silent all over the map. As fire and ash starts to spread across the Earth, Captain Jacobs, his young co-pilot Craig, and the handful of other pilots they are able to remain in contact with struggle to maintain control over their aircraft and find a safe place to land before the fuel runs out. Flight Twelve Twenty-One by Greg Norgaard. Cover Art and Design By Jeffrey Hayes, Digital Formatting by Russ Anderson. Available for download for 99 cents at Amazon, Smashwords, Barnes & Noble, and www.prose-press.com. For digital copies for review, to interview the author, or more information on this series and/or Pro Se Productions, contact Morgan McKay, Pro Se’s Director of Corporate Operations, at directorofcorporateoperations@prose-press.com.